Lee Ann O’Reilly sends us news on the on going court case to save the life of Ginger, a Pit Bull who was attacked (while on leash and muzzled) by another dog in a Toronto Park. Unbelievably, it is Ginger (yes, the dog who was attacked) that is facing a destruction order by the City of Toronto. Ginger’s misfortune began Nov. 29, 2005. “My mother took her out for a 6 a.m. walk in the park,” said owner Philip Huggins, 28, a truck driver for a graphics firm. “Ginger (a 69-pound dog) was muzzled and leashed. Another dog (Buddy, a 45-pound dog) ran over to her and started sniffing her. The dog bit, and went and tore (Ginger’s) left ear, then ripped off her muzzle.” Ginger bit the dog back, then bit its owner, court documents show. “Clearly she (Ginger) bit. The question was whether she was defending herself against another dog or whether she was the aggressor,” said Ruby, who got involved in the case two weeks ago, encouraged by a member of the Banned Aid Coalition, a group opposed to Ontario’s pit bull ban. Ginger was ordered held in custody by a justice of the peace in December 2005 and remained at a Toronto Animal Services shelter while her case wound through the courts. This is a pivotal case. It will clarify exactly what the rights are for ALL DOG owners, the power of any Animal Control officer to enforce the regulations. It challenges reverse onus and the intent of the law. This case along with many others is why the DLCC is struggling to pay off our outstanding debts, left when the constitutional challenge was turned down. We need to win this case and others. We need to get the various regulations of DOLA , challenged once again in the lower courts to reopen the door to repealing this barbaric law. The DLCC is not able to fund this case, but we immediately offered our help to get the word out there that Ginger needs US. “Law abiding citizens are not being targeted by the ban”. On November 29, 2005, while Phillip’s Mother was walking Ginger, leashed and muzzled, in a Toronto park, Ginger was savagely attacked by an …unleashed dog. So savage was the attack on Ginger, that Buddy tore Ginger’s muzzle off and inflicted severe injuries to both Phillip’s mom and Ginger. Ginger now has permanent damage to her left eye. Buddy’s owner walked away VIRTUALLY scott free. Ginger wasn’t so lucky. The City of Toronto Animal Control Officers seized Ginger illegally, without warrant or consent of Ginger’s owner. Within hours, a ‘destruction’ order was placed on Ginger’s life while Phillip was charged with 3 counts under DOLA. Prosecutors attempted to strike a deal with Phillip, offering to drop all charges if he ‘ simply ‘ handed over Ginger to be killed. Phillip would have nothing to do with it and said he would fight to the end. Ginger spent 3 ½ years incarcerated simply for defending herself and Phillip’s mother. As a result of the charges and the battle in court, Phillip lost his job, ended up on welfare and now suffers with depression. Out of money and time, Clayton Ruby, an established Human Rights lawyer, took over the case. He knew the City of Toronto was wrongfully holding Ginger in the pound. Within days, Clayton Ruby went before a judge and Ginger was released back to her loving home until the next court date. Despite a ruling which allowed Ginger to be free, the City of Toronto was granted an appeal on the ruling. Phillip is yet again scheduled to appear in court again on October 25, 2010 at The Court of Appeals for Ontario Ginger is still at risk of losing her life. As a result of the city of Toronto being granted an appeal, it is costing a lot more than what was anticipated. If Phillip doesn’t raise the funds, he may lose his appeal, and Ginger will lose her life. He has come this far, but if he stops now the city will be granted the destruction order and Ginger will be destroyed. Your financial help is all that stands between an innocent dog and death. 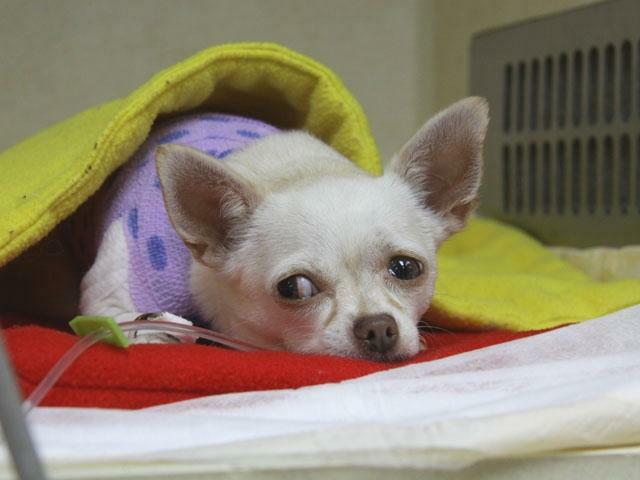 Buster the Chihuahua Terrier mix is lucky to be alive after surviving a vicious Coyote attack – and it’s all thanks to a pair of protective Pit Bulls. Robinette ran after Buster and the coyote behind her home at 949 West Peakview Circle near Angeline Little Greenway Park. Choking back tears, owner Robinette explained that the coyote dropped her dog because it was under attack by her neighbour’s Pit Bulls. As for the pit bulls – they scared off the coyote and then protected Buster under a bush. “They were circling him and sitting by him. Making sure he was all right,” said Robinette. The attack occurred in Littleton, Colorado. Buster has some serious injuries, including lacerations and a collapsed lung, but he’s expected to make a full recovery. In a shocking (but barely surprising) decision, the Crown has decided to drop all charges against Ontario’s former Attorney General, Michael Bryant. Bryant came to fame in Ontario when he masterminded the mass destruction of Ontario’s Pit Bulls, Staffordshire Bull Terriers, and vaguely Pittie looking short coated dogs of indeterminate heritage. Mr. Bryant was charged last September with criminal negligence causing death and dangerous driving in the death of bike courier Darcy Allan Sheppard. Police alleged Mr. Sheppard, 33, died after grabbing onto a car in downtown Toronto following an altercation with the driver. The citizens of Oak Harbor, Washington, should be very proud of their city council today. Thanks to their willingness to question facts, rather than just blindly accepting stories about killer Pit Bulls who eat babies, they’ve repealed breed specific legislation within Oak Harbor city limits. 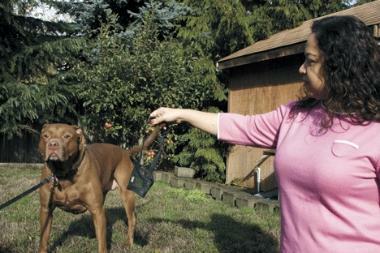 Oak Harbor’s breed-specific ordinance went into effect in 2006 and required pit bull owners who live within city limits to house the controversial canines in a secure pen and muzzle the animals while on leash, among other restrictions. Pit bull owners who didn’t follow the ordinance ran the risk of having their dog impounded or earning a misdemeanor, punishable by a fine of up to $1,000, jail time up to 90 days, or both. Now the animal control officer will rely on the “Dangerous Dog and Potentially Dangerous Dog” chapter of the animal control ordinance that deals with animals based on behavior, not breed. Before the council made their final decision, Councilman Jim Campbell questioned whether the “Dangerous Dog and Potentially Dangerous Dog” chapter was enough to protect the citizens of Oak Harbor. “We don’t need this because we have sufficient coverage in the one that we already have? Does it also have the hard rules for the owner that has a dog with biting habits?” he asked Police Chief Rick Wallace. Wallace said yes, and proceeded to read from the “Dangerous Dog and Potentially Dangerous Dog” ordinance that requires the owner of these dogs to keep the animals in a proper enclosure, post a visible warning sign that a dangerous dog is in the area, purchase a surety bond of at least $250,000 or a liability insurance policy, have the animal microchipped and register the dog with the city. Councilwoman Beth Munns made the motion to repeal the breed specific ordinance, and Campbell seconded her motion. The council unanimously voted to support Munns’ motion, 6-0. Councilman Danny Paggao was not at the meeting. Like many of us, I’ve heard the stories, but I’ve almost always dismissed them as fairy tales, on par with stories about Bigfoot, Chupucabras, and the Loch Ness monster. Little did I think that within my lifetime I’d get to hear about an actual, verified instance of a politician with working brain cells, one who asks questions, rather just blindly accepting all those stories about killer Pit Bulls. And, Holy Hell! Their Chief of Police testified against breed specific laws! He didn’t rave about how it’s necessary to shoot all Pit Bulls on sight, or tell stories about babies being stolen from their cribs and eaten. Instead, he pointed out how the town’s existing, non breed specific laws already make more than adequate provisions for the control of dangerous dogs within city limits. Politicians AND cops with brains, in one single city? I know where I want to move to. In a statement so shocking that I almost felt light headed on reading it, Oak Harbor city council said that they hope the repeal of the law will “decrease the number of pit bulls surrendered to island animal shelters, and possibly increase their rate of adoption”. Good lord. If this sort of logical thinking catches on outside of Washington state, there’s a chance that even Ontario’s fiberal goverment might re think their idiotic DOLA laws. Oh, and look, a pig just flew overhead. 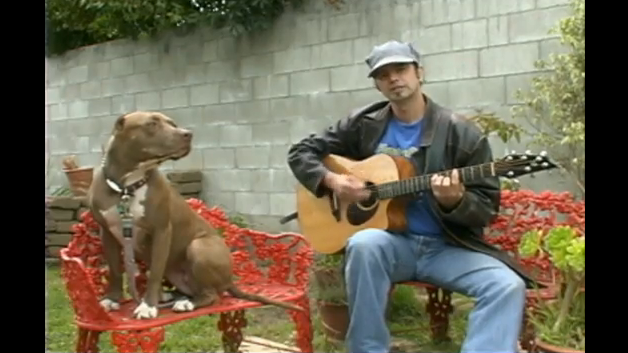 Possibly the best song ever about Pit Bulls. People see me walking down the street they all run and hide. I used to take it personally now I take it in strides. I got nothing against no one I wouldn’t hurt a fly. I’m a pitbull, a big brown red nose pitbull, a tooth baring muscle bound pitbull I look like I can tear the seal off a loco motive freight train. People park three spaces away when I’m waiting in the car. All the kids in the neighborhood they never walk through my yard. And there’s a rumor floating around the county that I ate three cats. But I swear from the bottom of my K9 heart I didn’t do that.